The Fire Kids Edition is a full-featured Fire tablet with a 7" IPS display, 1024 x 600 resolution at 171ppi. It adds a MicroSD card for up to 128GB of additional storage. 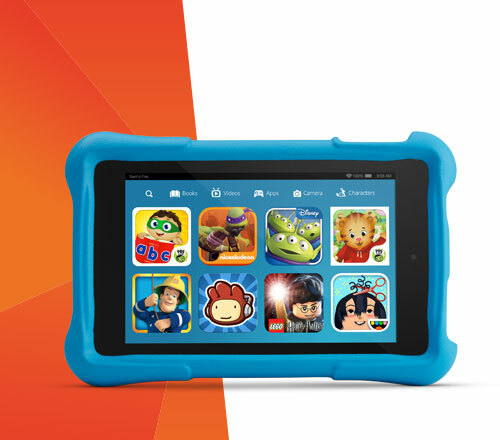 Once purchased this Fire Kids Edition tablets, you will get unlimited and free access to 10, 000 kid-friendly books, movies, educational apps and games with 1 year of Amazon FreeTime Unlimited included. In addition, the best-in-class parental controls allow you to manage usage limits, content access, and educational goals. To make it convenient for your kids to watch movies or videos on Fire Kids Edition, a third-party video conversion program will be indispensable. Here, you are recommended to download Pavtube Video Converter for Windows/Mac, which enables to convert virtual any file formats such as AVI, WMV, MP4, MOV, FLV, MKV, Tivo, MXF, VOB, etc to Fire Kids Edition 7" display playable formats listed above. To let the output video fit perfectly on Fire Kids Edition 7” display screen, it is ideal for you to adjust the output file resolution as 1024 x 600 in the “Profile Settings” window of the program, so that you will get a full resolution video playback quality on the Kids tablet. 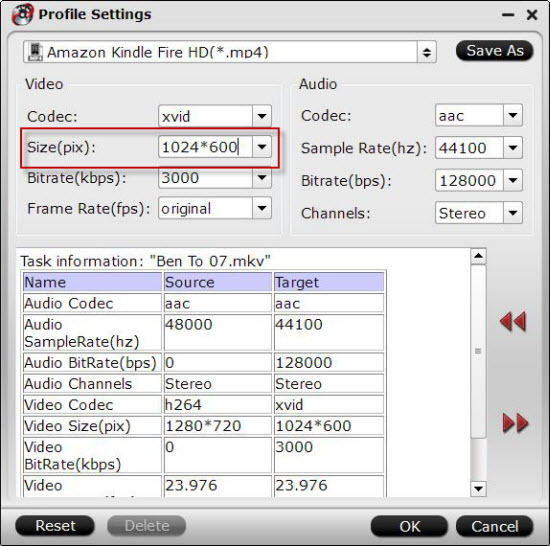 How to Play MKV, AVI, VOB, FLV, Tivo, WMV on Amazon Fire Edition with 7" Display? Step 1: Import video files to the video converter. Run the software on your computer, either hit on the button "Add video/audio" or directly drag & drop your source videos from computer to the app. 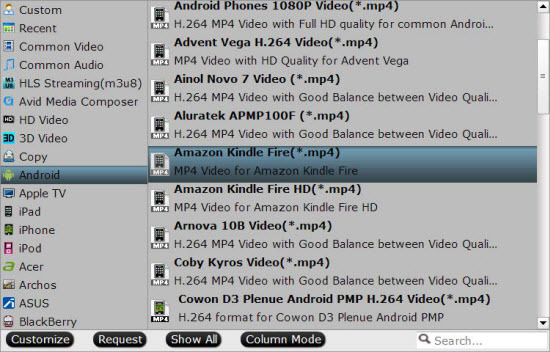 You can import a folder that is filled with videos to add more than one video into this video converter at the same time. Click the"Format" bar and select "Android > “Amazon Kindle Fire (*.mp4 )" as target format. The output videos could fit on Fire Kids Edition perfectly. Step 3: Adjust output file resolution. Click “Settings” to open “Profile Settings” window, under video settings panel, choose “1024*600” as the final output file resolution. Step 4: Start video conversion. 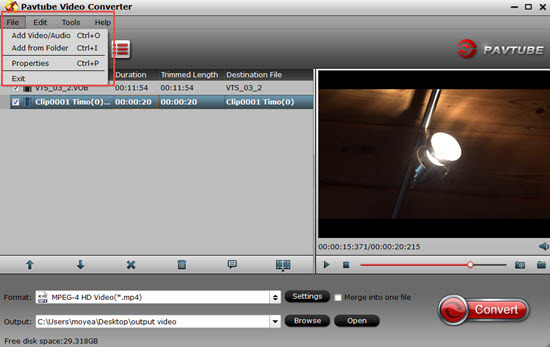 On the main interface of this Video Converter, you hit the "Convert" icon to start converting your HD videos for Fire Kids Edition. When the conversion is done, get the converted video in output folder location, now you can transfer and watch MKV, AVI, MPG Videos on your Fire Kids Edition with 7” display on the move. How to Add Movies to Your Kids Tablet?